CompTIA A+ Certification Course – ITS Training Institute, Inc. This course is your complete solution for A+ exam preparation. Covering 100% of Exam 220-901 and Exam 220-902 objectives, this course gives you everything you need to ensure that you not only understand the basics of IT, but that you can demonstrate your understanding effectively. This course has been updated to reflect the exam’s new focus. Coverage includes the latest best practices, Windows 8/8.1 and mobile OSes, and an emphasis on the practical skills required on the job. Clear and concise, this course helps you solidify your understanding of crucial hardware and operating system maintenance and troubleshooting topics covered on the exam. Is the essential computer technician credential, and is required by over 100 leading employers. This course helps you prepare and practice so you can approach the exam with confidence, and pass with flying colors. Certification exams are administered by third party testing companies such as Pearson Vue or Prometric. Our courses prepare you for the certification exam, which is an additional fee paid to the testing provider. 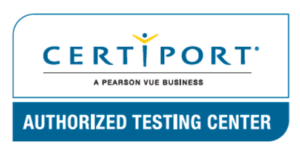 You must contact Prometric, Pearson Vue or the corresponding testing provider to take a certification exam.